The Vaunn Medical Secure Bathtub Safety Rail provides support for adults, children, seniors, or any individual with limited mobility. Provides assistance when getting in and out of the bathtub and helps prevent injuries or falls common in the bathroom. This safety tub rail offers a 14 handle on one side of the tub to allow easy and unrestricted access in and out of the tub. Constructed of a heavy-duty, one-piece steel frame, this ultra-durable tub rail guarantees a firm, non-shaky grip during use and ensures maximum safety for individuals up to 300 lbs. The width adjustable clamp, with its uniquely designed locking mechanism, allows the rail to be firmly attached to any tub wall (3 -7 thick). This product is easily installed with no tools required and will not cause any unsightly marks or dents on the tub surface. Its smooth-white, powder-coated stainless steel design creates a modern look that will blend perfectly with any bathroom d cor. Conveniently ambidextrous, this product works for both right and left-handed users. It is lightweight ( RECLAIM YOUR INDEPENDENCE- Backed by a 1-Year Manufacturer s Warranty, the Vaunn Medical Secure Bathtub Safety Rail is guaranteed to relieve your daily stress when entering and exiting the bathtub. Order with confidence today! SECURE CONSTRUCTION- Padded rubber clamp with strong locking mechanism allows rail to securely clamp on to the side of the tub. Heavy-duty, one-piece steel frame guarantees a firm, non-shaky grip. Durable construction supports individuals up to 300lbs. CUSTOMIZED FIT & TOOL-FREE ASSEMBLY- Width adjustable clamp allows tub rail to fit securely on any tub wall (3-7 thick). Easy installation, no tools required. Tub rail will not leave unsightly marks or dents on the surface of the tub. Note: Not intended for use on fiberglass surfaces. LIGHT-WEIGHT & PORTABLE - Less than 6 lbs. Can be easily moved and installed in another bathroom. Ambidextrous design works for both right and left-handed users. MODERN COMPACT DESIGN- Smooth-white, powder-coated stainless steel frame blends perfectly with any bathroom d cor. Supports up to 500 Lbs. Providing additional stability and security when entering or exiting the bathtub, the parallel bathtub rail by Vive easily adjusts to fit most bathtub styles. 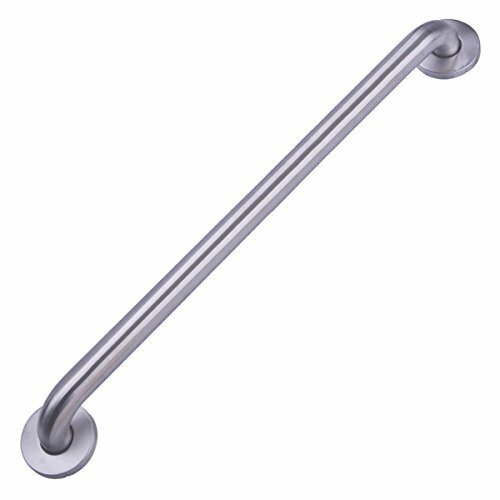 The scratch resistant bathtub grab bar is constructed with a durable stainless steel with non-marking rubber pads to protect the surface of the bathtub and secure the rail in place. Safely step in or out of the tub with the help of a sturdy steel bathtub rail. The parallel bathtub rail supports up to 300 pounds and provides extra stability for seniors, children and those recovering from injury or surgery. The durable steel bathtub rail is adjustable to fit most bathtub edges between 3 to 7 inches thick. Non-marring rubber pads protect the surface of the bathtub from scratches and scuffs. The rounded handle is 14.5" high and provides a comfortable and secure grip. Simple to install, the rail uses a stainless steel clamp mechanism to secure the parallel bathtub grab bar in place. SAFELY ENTER OR EXIT THE TUB: Safely step in or out of the tub with the help of a sturdy bathtub rail. 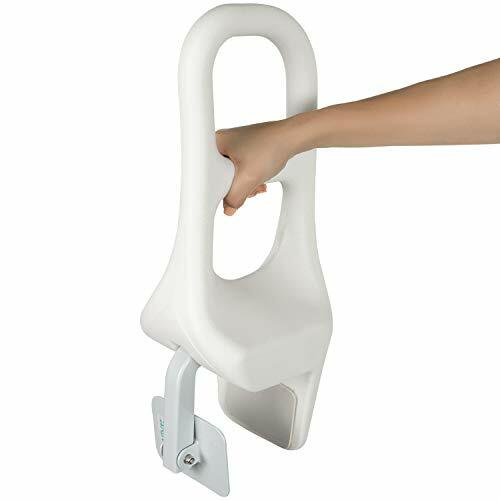 The parallel bathtub grab bar supports up to 300 pounds and provides extra stability and security for seniors, children and those recovering from injury or surgery. ADJUSTS TO FIT MOST BATHTUBS: Easily adjustable, the durable steel bathtub rail fits most bathtub edges ranging between 3 to 7 inches thick. 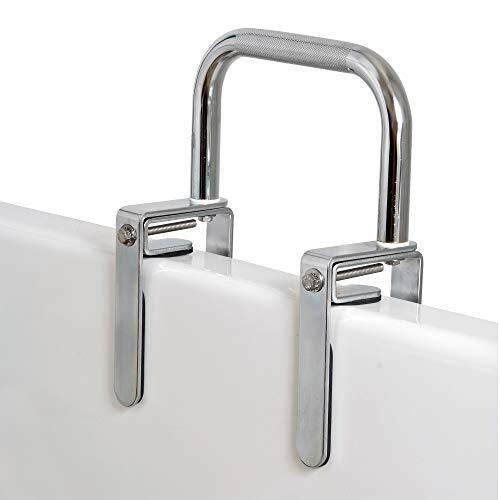 SCRATCH RESISTANT ERGONOMIC RAIL: Non-wearing rubber pads protect the surface of the bathtub from scratches, scuffs and scrapes during regular use of the safety rail. The ergonomic rounded handle is 14.5 high and provides a comfortable, secure grip. SIMPLE TOOL-FREE INSTALLATION: Easily installing on the side of most bathtub styles, the rail uses a stainless steel clamp mechanism to secure the parallel bathtub rail in place. VIVE GUARANTEE: Unconditional lifetime guarantee so you can purchase now with confidence. 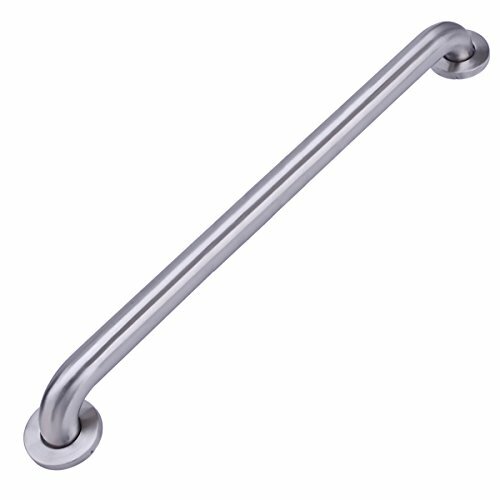 A Bathtub Rail with attractive chrome finish to inhibit rust provides both a gripping area for entrance and exit from the tub. The gripping area on this bath rail has a textured finish and the bath rail fits most bathtubs. Tub rails have a rust resistant chrome finish and dual level gripping surfaces. Adjustable steel spring clamps for accurate fit. Rails include protective rubber pads prevent scratching. The Living Store Premium Bathtub Safety Rail is your best enhancement to add to your bathroom. Sturdy, non slippery, this safety rail was designed to make your bathroom safer. Tool-free installation. Easy Assembling.Can be removed and install to another bath tub easily.Fits 3.35inch-5.71 inch bathtub. Lumex Sure-Safe Bathtub Rail. Not recommended for use with fiber glass tubs. Tool-free installation. Brand: Graham-Field | Manufacturer: GF Health Products, Inc. The Dual Level Bathtub Rail with attractive chrome finish to inhibit rust provides both a high and low gripping area. Both gripping areas on this bath rail have a textured finish and the bath rail fits most bathtubs. 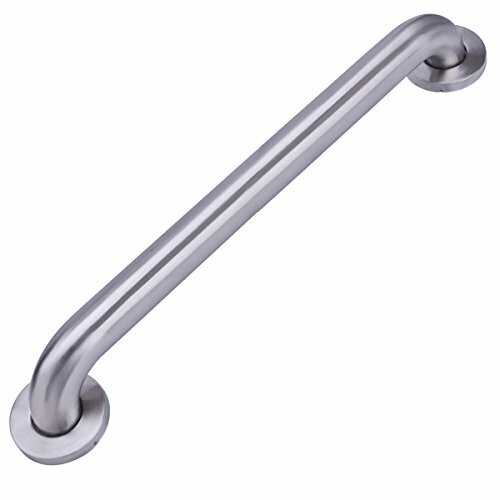 Tub rails have a rust resistant chrome finish and dual level gripping surfaces. Adjustable steel spring clamps for accurate fit. Rails include protective rubber pads prevent scratching. 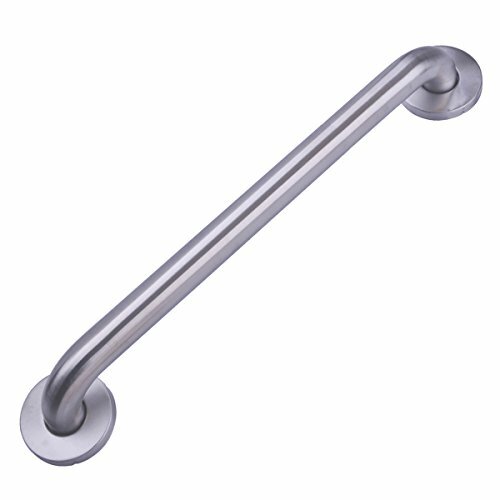 GRAB BARS FOR BATHROOM. Increase your independence getting in and out of the bathtub and shower with this bath rail. The dual textured gripping areas with textured finishes allows for a safe entrance or exit from the bath with solid support and grip. ATTRACTIVE FINISH: The Carex Dual Level Bathtub Rail has an attractive chrome finish that is rust resistant and the handicap grab bars match most bathroom d cors. The safety bar clamps tightly to the side of the tub for safe entrance to the tub. 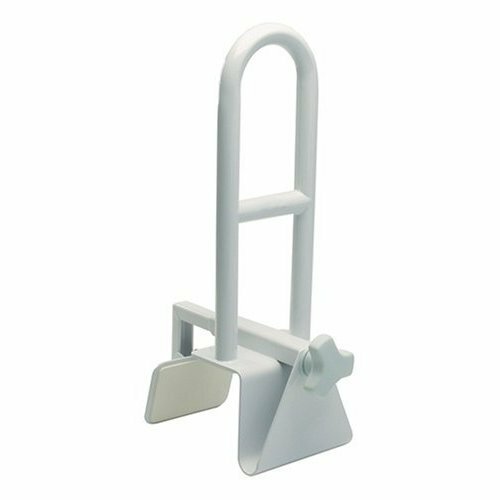 EASY MOUNTING: The adjustable steel spring clamps make installing this bathtub safety grab bar easy & quick. The clamp fits most size tubs, so it can be easily installed in just about any bathtub with a flat top tub wall. 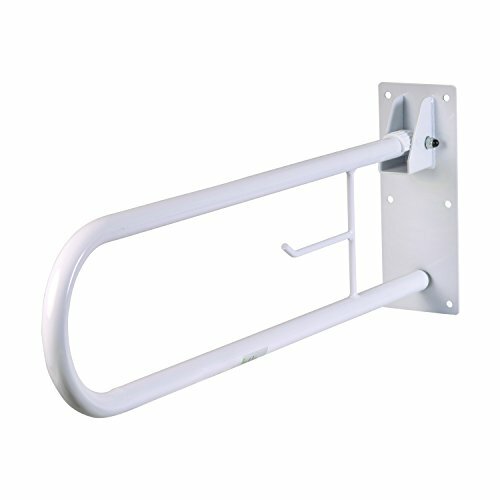 RUST RESISTANT TUB GRAB BAR. Carex grab bars for bathtubs and showers are rust resistant and mildew resistant. Rest easy knowing that Carex is a leader in bathroom safety bars. BATHE & SHOWER SAFELY! 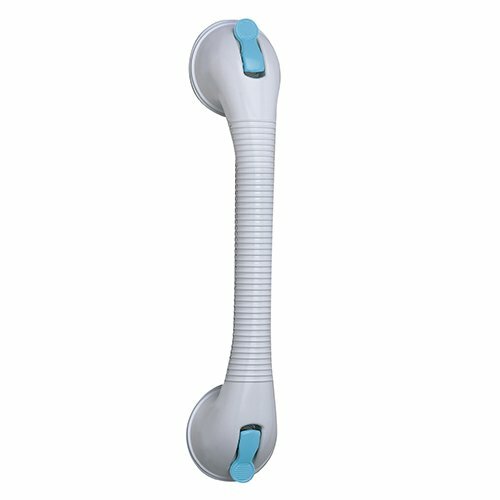 Toddlers and adults alike can enter wet and slippery tubs and showers with our bath and shower handle. Perfect for anyone who needs assistance in the bathroom. INSTALL IN SECONDS! Two very strong suction cups easily attach to smooth, non-porous surfaces. Simply press the tab levers down to securely install the handle to the shower wall or tub. Just as fast to remove and relocate with the easy release pull tabs. We recommend you re-install weekly or before each use. MANY USES! Perfect for home, travel, the gym, or anywhere you bathe! Measures approximately 11L x 3.75W x 3.25H. COMFORTABLE & STABLE! 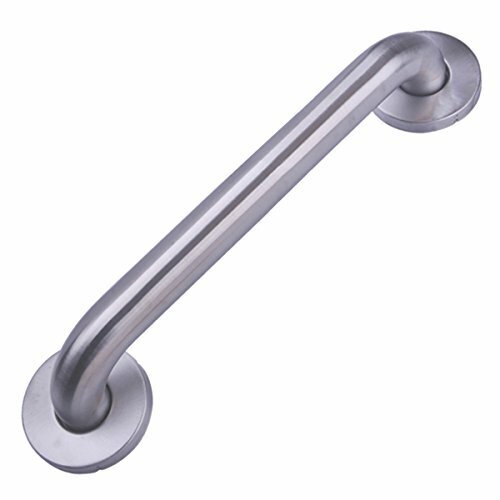 The bathroom balance bar has an easy grip handle that is contoured for your comfort. Powerful suction cups hold shower assist handle securely in place. For years Evelots has provided unique products with a 30 day easy return policy, and 100% satisfaction guarantee. The Homecraft brand is a trusted name for millions of people around the world, designed for you and relied on by occupational and physical therapists for independent daily living. 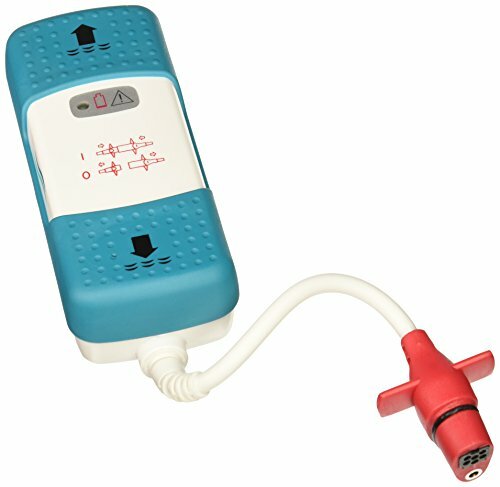 Homecraft is a leading global provider of daily living aids for patients in nursing homes and assisted living facilities and for consumers at home. Homecraft offers a wide range of simple and practical aids for everyday activities like eating, dressing, bathing, and toileting. The Homecraft brand will help you adapt to your environment and make it easier to eat, prepare meals, bathe, shower, dress, meet hygiene needs, manage medications, and much more. Whatever your ability or lifestyle, you can rediscover your independence using our complete range of products. 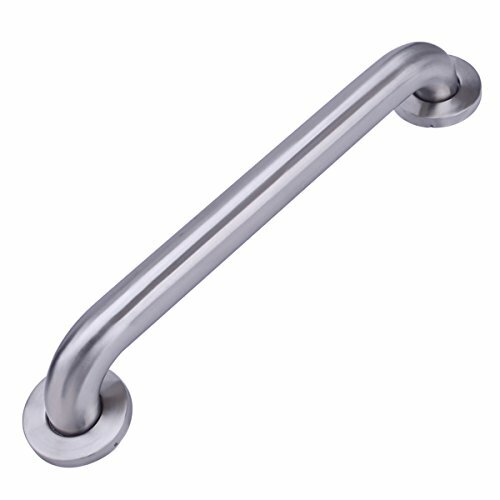 Wall Mounted grab bar,Sturdy and Safety Heavy duty design provides high load-bearing capacity. High impact, long life, stainless steel, corrosion resistant. 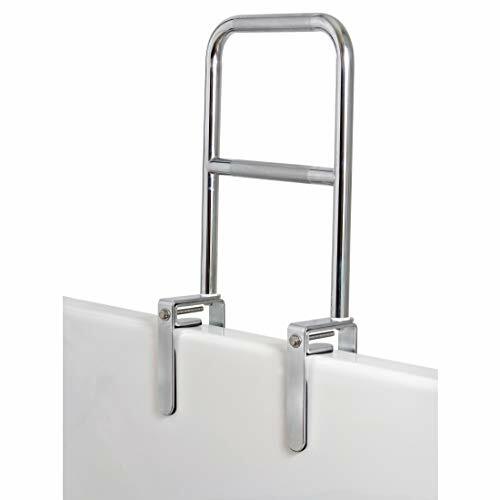 Perfect for bathroom, shower or anywhere in the home where a safety rail is required. 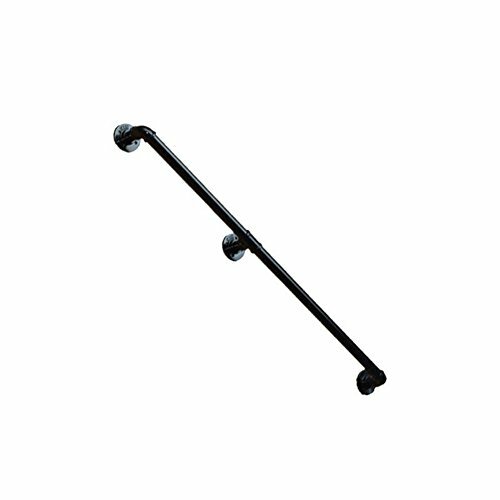 Product Name: Stair Handrail Material: iron Process: plating Diameter: 32mm Size: 0.5m, 1m, 1.5m, 2m Installation: Punch installation Features: corrosion-resistant, no rust, do not change colorDelivery time about 10-15 days . Only handrails sold , no other . Easy to install, safe and reliable. Rust proof, anti slip,durable, pefect for most people hands feeling,easy to provide a stable,reliable handhold. Application: elderly, people with reduced mobility, pregnant women. 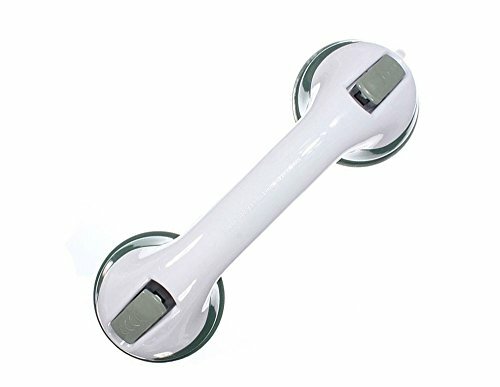 If you find yourself experiencing balance problems or fatigue when entering, exiting, or standing in the shower, the Lifestyle Suction Rail can help. 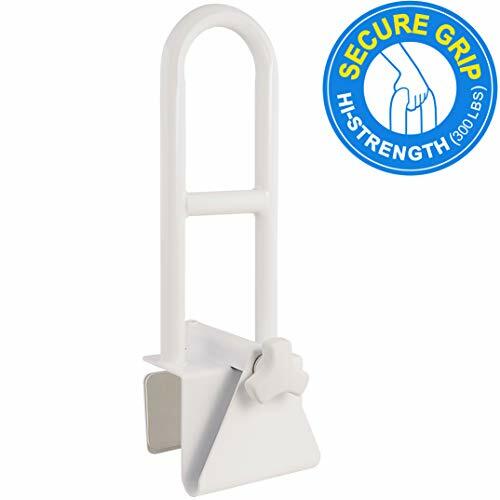 The powerful suction of the rail keeps it firmly fixed to your shower wall, giving you a strong and secure handhold. Easy to use, the rail installs in seconds without tools for enhanced bathroom accessibility. BAR6640IVC Features: -Bolt-on hardware for added strength. -For optimal security and convenience, four half-length rails are recommended (one set for head area and one set for foot area). -Heavy duty 1'' chrome-plated, welded steel construction. 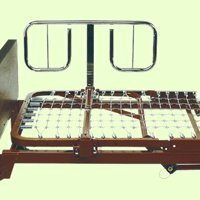 Product Type: -Bed rail/Bed rail pad. Bariatric: -Yes. Weight Capacity: -600 Pounds. Color: -Chrome. Generic Specifications: -Use with BAR600IVC bed only. Dimensions: Overall Height - Top to Bottom: -28.75 Inches. Overall Width - Side to Side: -35.5 Inches. Overall Depth - Front to Back: -3.5 Inches. Overall Product Weight: -25 Pounds. 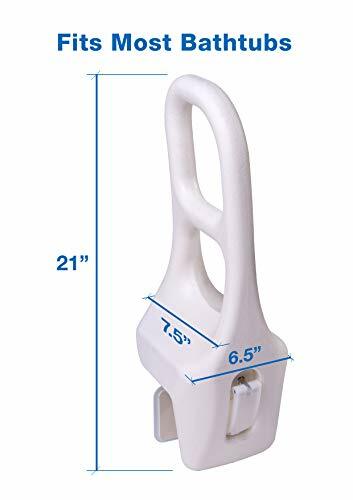 Increase Safety with this Convenient Grab Bar Increase safety by installing this handy handrail near the toilet, shower or anywhere in the house where you want a convenient grab bar to hold on to. It provides two gripping heights to aid in standing and sitting. And the space saving design folds up against the wall. It even has a built-in toilet paper roll holder.